The decicion creates a ripple effect of benefits for the entire company. “When an executive decides to take on a top-level academic challenge and obtain a business doctorate at Aalto University Executive Education - a DBA - the decicion creates a ripple effect of benefits for the entire company. This is an important motivator for the individuals enrolling in our DBA program. Another selling point is the fact that the Aalto Executive DBA makes research and methodology fun. This is no small matter for the top business leaders we attract with our DBA program,” says Sami Kajalo, Ph.D., Senior Lecturer at Aalto University School of Business. Kajalo is in charge of quantitative methodology courses for DBA and master’s students. Aalto University Executive Education started offering its fully tailored, individual DBA program in 2012 as the first in Scandinavia. DBA students are coached individually throughout their studies. Most participants plan on completing the three to six year doctoral program alongside highly demanding careers, focusing their research on issues directly relating to their own business. Kajalo and Mikkonen remind that the order in which course work is completed is fully up to the DBA participants, as all course work is tailored to fit their demanding schedules. “DBA students seeking to benefit their company from day one, however, should strongly consider starting with methodology courses,” Mikkonen says. 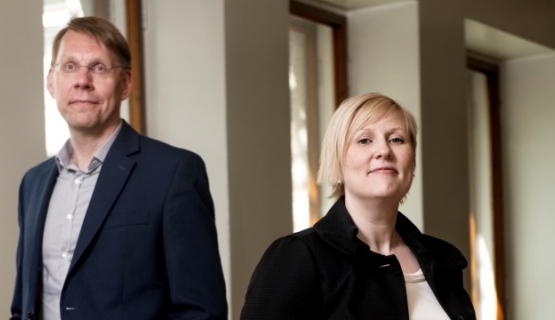 The Aalto Executive DBA is a structured program in Business Administration for talented individuals with considerable managerial experience who wish to make a significant contribution to the enhancement of professional practice in their key areas of interest. It has both real world relevance and academic rigor and focuses on the relevance to the employer and the professional development of the candidate. The program is organized by Aalto EE Helsinki. Read more about the program.